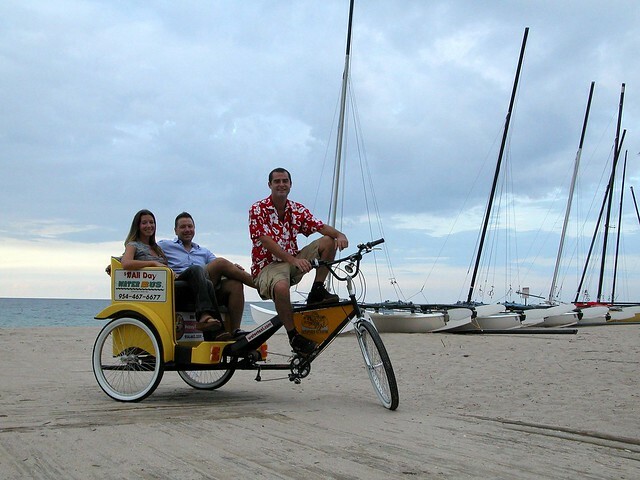 Since its debut in 1997, Ocean View Rickshaw has established itself as the south Florida’s #1 pedal-powered transportation service. Our rides are popular among tourists and locals, children and adults, and we are rapidly becoming an integral part of the Florida’s landscape. Our goal is to provide customers with safe, friendly, comfortable service, resulting in a memorable and entertaining experience that pairs practical, eco-friendly transportation with the luxuries of a gentle stroll. Call us at (954) 561-2808 to schedule a pickup anywhere in central Fort Lauderdale, including the beach and Las Olas Boulevard. If you see us on the street, flag us down for a super fun ride!